When one considers the needs of the geriatrics in Poland it becomes obvious that we do not have enough geriatric and long-term care units in the country. Neglect is rife in this area of medicine. As soon as the Foundation began to focus its attention on medical care offered to the oldest patients, we have noticed that it is a gravely under-funded branch of medicine. Nearly all equipment in these wards seems to be secondhand, with hospitals being forced to re-use discarded furniture, such as beds and bedside cabinets in these wards. We feel that patients in geriatric units deserve to receive medical care in a dignified environment. It is essential to remember that patients in geriatric and long-term-care units are deserving of our respect and that their needs cannot be disregarded. That's the reason why the Foundation decided to include geriatrics as one of the themes of the annual Grand Finale fundraiser. We aim to help geriatric wards and hospitals looking after long-term patients - the long-term care units bring reprieve to elderly patients, who need round the clock care. More often than not, we receive requests for some of the most basic pieces, such as beds, bedside cabinets, for example. What is more, we aim to make the carer's work easier. 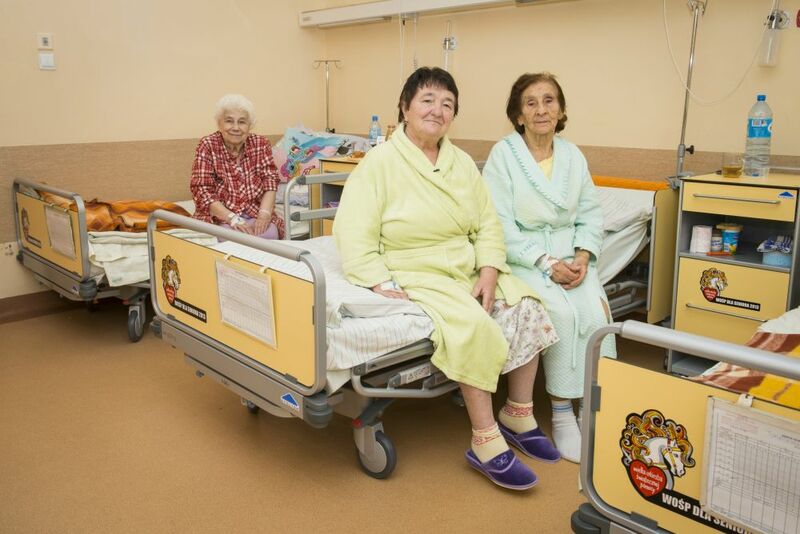 We have collected funds for the geriatrics four times so far - in 2013, 2014, 2015, 2016, 2017 effectively donating almost 13 642 devices worth over 99 000 000 PLN (over 23 000 000 EUR) to 314 medical facilities in Poland. Hopefully, our activities will also serve to raise awareness about how important is dignity in the medical care of elderly patients and make public regard the elderly with more respect and attention.